John Deere Muleka is a bit of a renaissance man. A mechanic, artist and highly skilled guide he can turn his hand to just about anything. 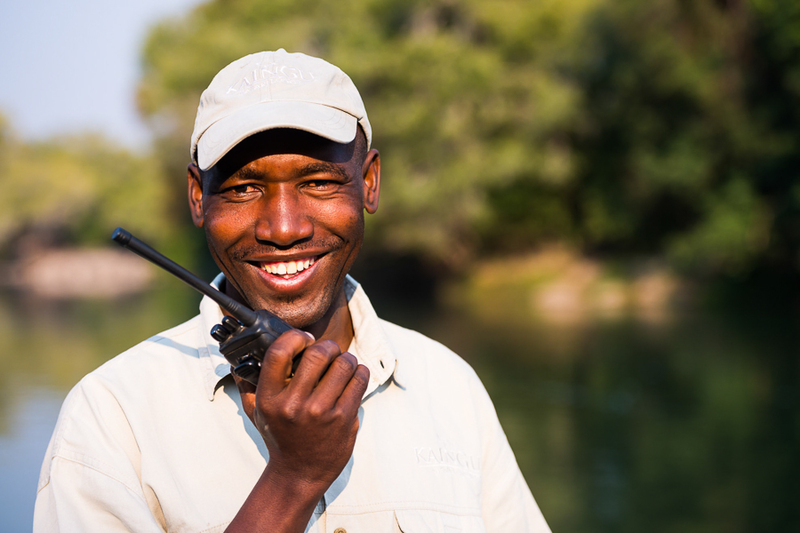 With a career spanning 25 years and including guiding as diverse as the early days in South Luangwa, white water rafting on the Zambezi, Busanga PLains, Lower Zambezi and now with us here at Kaingu, there are not many aspects of guiding that he hasn’t done! A leopard expert and a polished tracker and ethologist he is very talented. 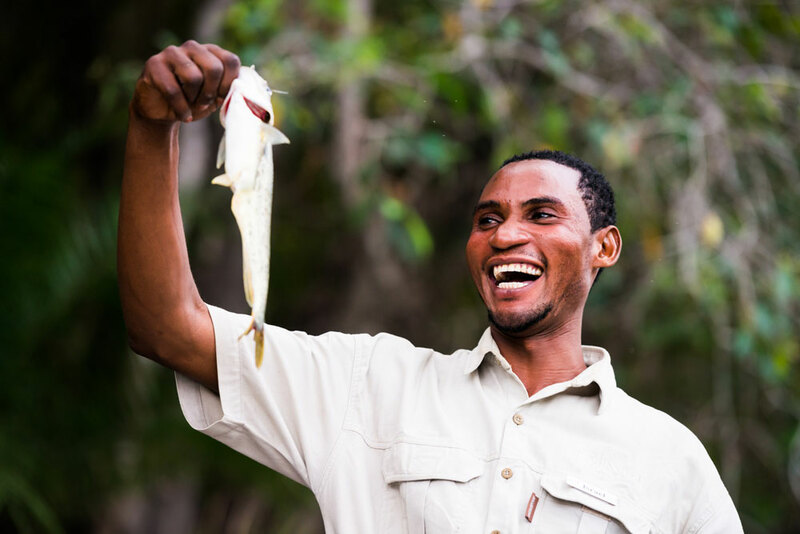 He is unfazed by safari experts and in fact the more the challenge the more his skill shines through. Best described as Mr Adventure. A highly skilled canoeist and an athlete he is who you want by your side when you get into trouble (which is perhaps why he is often with Gil). 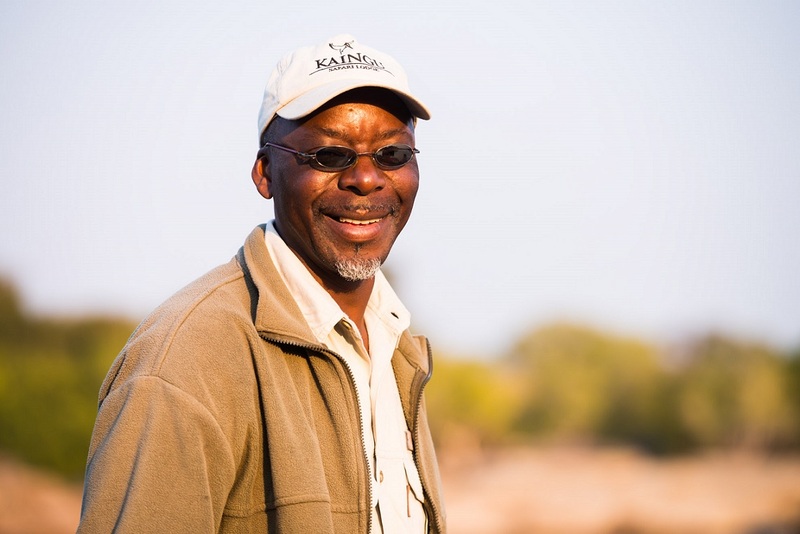 Kaingu’s longest serving guide he has grown as we have grown. In the last few years he has attempted and attended more and more technical training and exams and his skill growth has been phenomenal. He has a unique dry humour that is loved by guests and a very caring nature. He also makes excellent pork belly snacks and enjoys cooking on island canoe trips. A very professional and tireless individual. Israel Kayombo Kayombo. He is far cleverer than his male model looks and charm would have you believe! A very solid individual who is well liked by guests and staff due to his bubbly nature and unflagging enthusiasm. He does sometimes loose track of what day it is, but that is why we love him! He is at home on land, on water and is rapidly acquiring John and Kaley’s enthusiasm for canoeing. One of the highest scoring candidates in the Kafue guides exams, he is going places rapidly and says that he wants to one day write a book about guiding. If it is as filled with as much humour as the author then it will be a cracker.